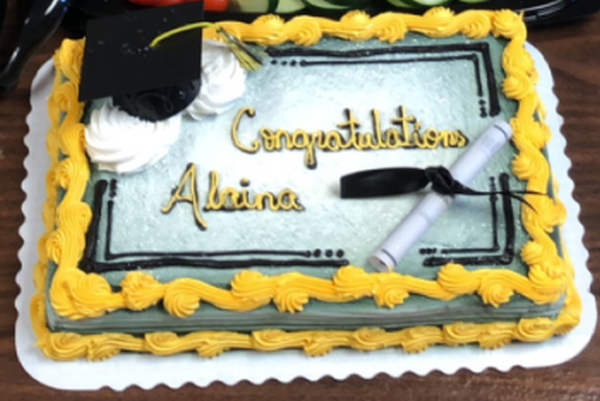 Congratulations to Alaina Anderson!! 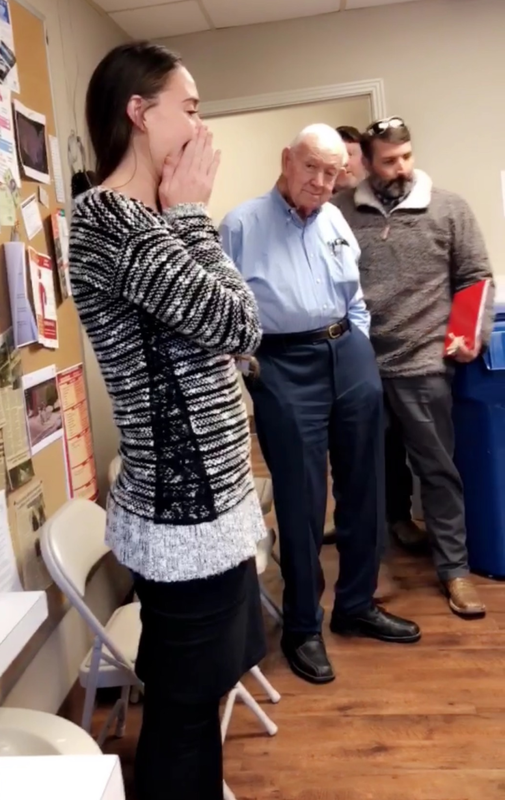 SDW Staff celebrate with Alaina at a surprise lunch in her honor. She Graduates tomorrow from the University of Southern Mississippi after many years of hard work. 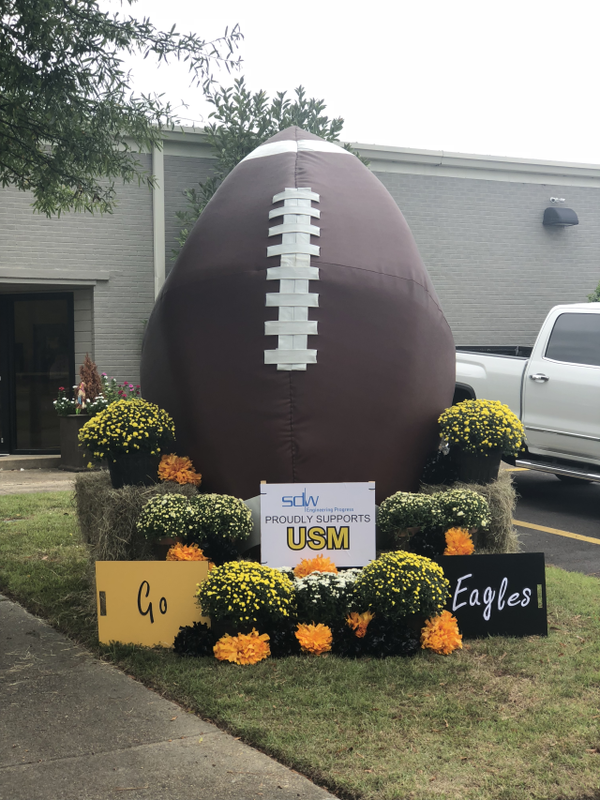 SDW proudly supports the University of Southern Mississippi. SDW would like to congratulate Kyle on the success of his recent back surgery. Many of the SDW staff members were on hand to help Kyle celebrate with the largest Hersey Bar any of them have every seen. Some would say that chocolate is an obsession of Kyle’s. As everyone enjoyed a piece of this chocolate delight, the staff encourage Kyle on his continued recovery. 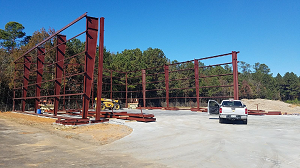 The City of Waynesboro in conjunction with the Federal Aviation Administration and the Mississippi Department of Transportation are constructing an new 80 foot x 100 foot aircraft hangar at the Waynesboro Municipal Airport. SDW provided the engineering services for this endeavor which will provide additional storage space for based aircraft. The City of Hattiesburg continues with progress of installation of fire hydrants along US Highway 49 North to serve this commercial corridor of the City. 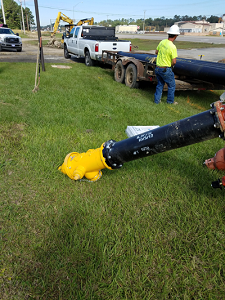 At the request of the City of Hattiesburg, the fire hydrants are produced in yellow from the factory in order to save money for the fire department who usually paints them yellow after installation. SDW continues to help our clients even with small projects with a big impact. 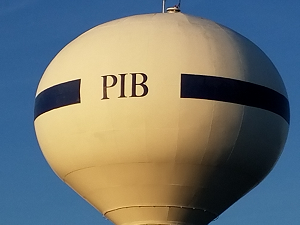 The Hattiesburg-Laurel Regional Airport located in southeast Mississippi has a pedestal elevated storage tank that provides domestic and fire protection water to the airport and the industrial park. A thorough interior washing meets the MS Dept of Health recommendations for water quality and an exterior wash provides a positive image for the facility. SDW Vice President Kyle Wallace has been named as a 2017-2018 American Council of Engineering Companies of Mississippi board member. 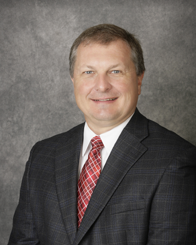 Kyle will join nine other engineers from across the state as part of the board for this term. Congratulations Kyle! The announcement was posted in the Mississippi Business Journal in September 2017. SDW Engineers was a key consultant in the development of the District at Midtown. Over 12 months of design preparation has finally culminated with the start of construction. With over $3 million in private site development and over $1 million in city infrastructure improvements, this project represents a huge investment in the City of Hattiesburg. Construction will also include a 100 room, 5 story Indigo Hotel and 4 retail and restaurant buildings. As construction continues into late summer, much of the city storm drainage and sanitary sewer improvements are nearing completion along Chevy Chase Drive and South 30th Avenue. Construction will then move to South 31st Avenue. Also moving along is the building construction. The 2 new buildings along the West side of South 31st Avenue are moving along at rapid pace with foundations, steal structures and roofs nearing completion. On the East side of South 31st Avenue, the new retaining wall along Hardy Street is about half way completed and the hotel construction starting to tower over the site. Shows, Dearman & Waits, Inc is in the final stages of updating the Airport Layout Plans (ALP) for the Hattiesburg-Laurel Regional Airport (PIB), Waynesboro Municipal Airport (2R0) and Hesler-Noble Field in Laurel (LUL). These highly specialized surveying and drafting projects outline the expertise of the staff at SDW. By updating this information for these Mississippi airports, SDW ensures the facilities meet all Federal Aviation Administration requirements. SDW has an immediate need for a motivated person to fill an entry level drafting position. JOB DESCRIPTION: We are currently seeking an AutoCAD technician to join our team to perform various design related tasks. The successful candidate will have measured aspirations to manage various projects from concept to completion while focusing on the betterment of the community in which we live. The successful candidate will be responsible for using field crew data to create drawings using AutoCAD C3D 2016 (or later) software including: sorting points using point groups; creating terrain surfaces using field data; drawing existing features using field data, pictures and notes; supporting the project engineers and team members to ensure projects are technically sound; ensuring the quality of work remains paramount in the project while delivering on time and within the project budget to the satisfaction of the client. Other job duties will include making copies, scanning, filing and typing in addition to courthouse research and related errands. JOB REQUIREMENTS: High School Graduate or equivalent GED with a minimum of two years of college in drafting, engineering, or a related field. Associates degree or bachelors degree preferred. Must be detail oriented, neat and organized. Must have the ability to work well on a team and complete tasks with technical proficiency and competence. Must be familiar in AutoCAD C3D 2016 (or later), MS Windows, MS Office Suite: Outlook, Word, and Excel. Bennie J. Sellers, P.E., P.S. 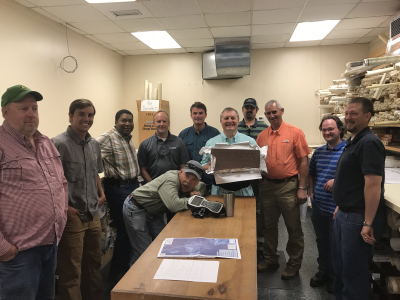 was recently recognized for his service to the engineering and surveying profession as a former board member of the Mississippi State Board of Registration for Professional Engineers and Land Surveyors. As a token of appreciation, Board member Rick Turner presented Mr. Sellers with a gift box with the with his service dates of June 22, 2010 through August 3, 2016. Shows, Dearman & Waits, Inc starts construction for Hiwannee Water Association located in Wayne County, Mississippi with Griner Drilling Service. The 3,000 foot well will provide a secondary water source for customers located on the west side of the Chickasawhay River. SDW recently participated in the Mississippi Municipal League 85th Annual Conference in Biloxi, Mississippi. As an exhibitor, SDW was please to visit with MML Past President Mayor V.O. Smith of Collins, Mississippi who is currently one of the longest serving Mayors in the United States. Shows, Dearman & Waits, Inc. recently held a team building afternoon of bowling for all company employees. 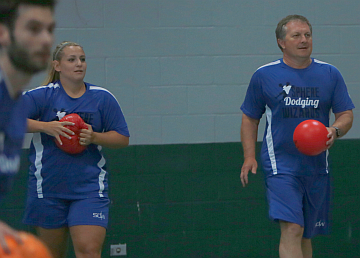 After a light lunch, teams were drawn and a “friendly” game of bowling was held. 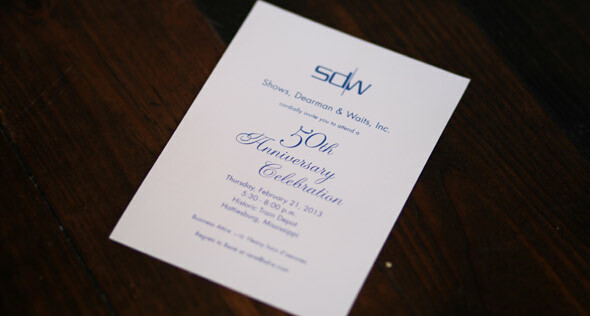 As a 50+ year old company in the South Mississippi region, SDW continues to excel in the engineering community with a dedicated and long tenured staff. Andrews Road Reconstruction at Camp Shelby Training Site for the Mississippi Military Department continues with the removal of existing concrete pavement. 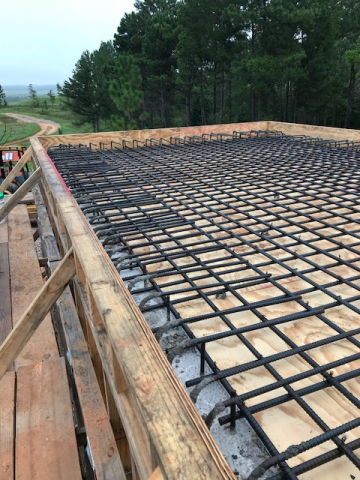 As the lead engineer in the project, Shows, Dearman & Waits, Inc. monitors the construction progress of Chris Albritton Construction of Laurel, Mississippi in this $1,130,000.00 project. SDW Vice President Kyle Wallace has been named as a 2015-2016 American Council of Engineering Companies of Mississippi board member. Kyle will join nine other engineers from across the state as part of the board for this term. Congratulations Kyle! The announcement was posted in the Mississippi Business Journal on 30 October, 2015. BACKGROUND: Shows, Dearman and Waits, Inc. was formed in January of 1963 to pursue a general practice of consultation in civil engineering. A cornerstone goal of our firm from the very outset was to deliver technical, economic, social and environmental excellence in every project in which we touch. We stand for quality of character and quality of work and strive to provide both in the most effective, efficient and economical way possible. Our objective has been to set the bar for our profession – our unswerving commitment to client service and our unequalled commitment to excellence have made this a reality. JOB DESCRIPTION: We are currently seeking an AutoCAD technician to join our team to perform various design related tasks. The successful candidate will have measured aspirations to manage various projects from concept to completion while focusing on the betterment of the community in which we live. The successful candidate will be responsible for using field crew data to create drawings using AutoCAD C3D 2013 (or later) software including: sorting points using point groups; creating terrain surfaces using field data; drawing existing features using field data, pictures and notes; supporting the project engineers and team members to ensure projects are technically sound; ensuring the quality of work remains paramount in the project while delivering on time and within the project budget to the satisfaction of the client. Other job duties will include making copies, scanning, filing and typing in addition to courthouse research and related errands. JOB REQUIREMENTS: High School Graduate or equivalent GED with a minimum of a two year degree in drafting, engineering, or related field. Associates degree or four year degree preferred. Must be detail oriented, neat and organized. Must have the ability to work well on a team and complete tasks with technical proficiency and competence. Must be proficient in AutoCAD C3D 2013 (or later), Windows, MS Outlook, Word and Excel as well as Adobe PDF Reader. 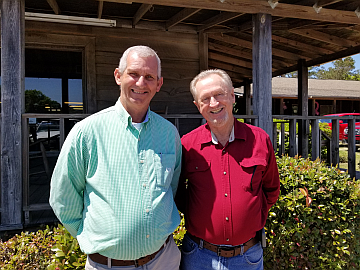 Kyle Wallace, PE is Checking-In on one of the founders of Shows, Dearman & Waits, Inc. – Raymond Dearman, PE, RLS – who is now enjoying his well earned retirement. Recently completed, Main Street in downtown Mt. Olive, MS received a much deserved face lift. 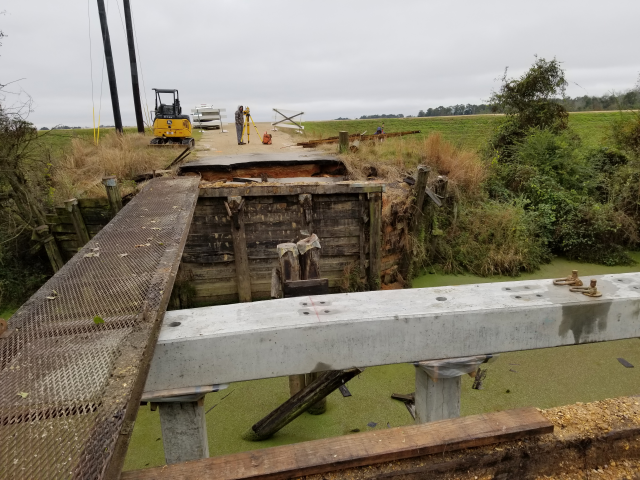 The project, costing approximately $130,000, was completed with the help of funding secured by Mississippi Department of Transportation Southern District Transportation Commissioner Tom King. Construction included installation of curb islands with landscaping along the center of the roadway, updated traffic striping, stamped brick crosswalks and other miscellaneous improvements. Beautification updates like these will help Mt. Olive retain its small town charm while improving the traffic flow for local residents. Shows Dearman and Waits recently participated in the annual Mississippi Municipal League Conference. Our booth was staffed with experience of two weeks with Ms Ivy Riley to over fifty years with Mr Bennie Sellers. John Weeks recently completed his term as President of the Southeastern Chapter of the Mississippi Engineering Society. This five year commitment to the local chapter will continue next year as the representative for the Chapter at the state level. Shows, Dearman & Waits, Inc. is active in the professional and civic activities of the community to make Southeastern Mississippi a better place for everyone. This service to our engineering profession is greatly appreciated and a big “Thank You” is needed for John. Construction continues at the Hattiesburg-Laurel Regional Airport Industrial Park located on Interstate 59 in Jones County. Jones County and Forrest County have teamed together to provide preliminary site work for a new business in the park. Construction on the building should commence within the next month. SDW Engineers is coordinating the site work for the project in conjunction with the site design professional services. 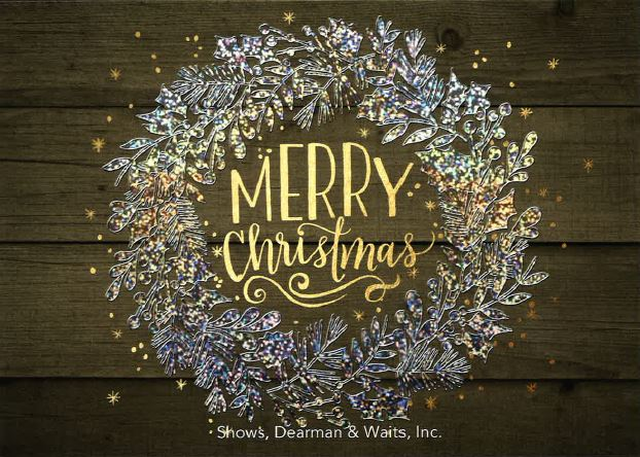 Shows, Dearman & Waits, Inc. Consulting Engineers recently participated in the “Jumpstart to Success” held at the Forrest County Multipurpose Center. The event was held to encourage approximately 1,000 9th Grade students from Forrest, Lamar and Perry Counties” to find a career after high school. Completion of another Mississippi Military Department Project by the SDW team of engineers and support staff. The 1.0 mile Physical Training Track located in the RTI Facility at Camp Shelby, Mississippi will allow soldiers to prepare for service to our Country. The asphalt paved track constructed by Jay-Van Construction of Hattiesburg, Mississippi is set in the piney woods of the cantonment area to provide minimal distractions while providing a safe atmosphere for this very important part of continual physical training. Recent upgrades to the exterior of Shows, Dearman & Waits, Inc reflect the commitment to the downtown area of the City of Hattiesburg. With the recent upgrades to the landscaping, a new entryway, a new color scheme and erection of a flagpole, SDW is dedicated to the continued improvements to the downtown area and prepared for another 50 years of service to South Mississippi. The Hattiesburg-Laurel Regional Airport has commenced construction on the Runway and Taxiway Overlay Project. This 3.1 million dollar construction project will affect all asphalt paved areas within the secure areas of the airfield. The project is a culmination of several years of design and coordination between SDW and Executive Director Tom Heanue with the Hattiesburg-Laurel Regional Airport Authority. Dunn Roadbuilders from Laurel, MS was selected to perform the strict time line deadlines including a maximum one week closure of the runway. These improvements will meet the demands of the airport for the next twenty years. Project Spoke is Moving Along! Code named ‘Project Spoke’, the future site of Green Bay Converting, Wisconsin-based converter of specialty paper and tissue products, is moving along. Site construction, funded through Forrest County and a grant from the Mississippi Development Authority, started this week. The site is located at 176 W.L. Runnels Industrial Drive in the Hattiesburg-Forrest County Industrial Park across the street from Stion. 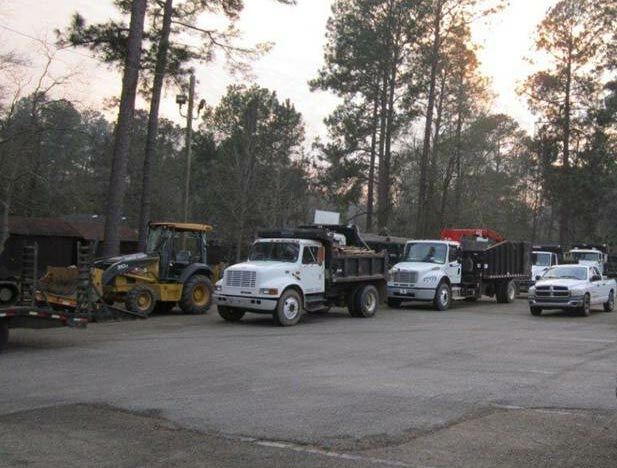 HRL Contracting of Picayune, Mississippi is clearing 35 Acres of the 40 Acre site to make way for the approximately 250,000 cubic yards of earth which need to be moved for this project. At $760,000, this phase of the project is supposed to be completed in 45 days to make way for the building contractor to get started on the new 400,000 square foot facility. As of 9 September the building pad is complete and the foundation construction has started. Site grading continues with completion estimated to be a few weeks away. Recently completed 500 gallon per minute water well for Dixie Community Utility Association. This well replaces an existing failing well and increases the water supply for the Dixie Community located in Forrest County, Mississippi. Construction of the Martin Creek dams in Jones County, MS began in Early August. The project is located West of Ellisville, MS. The finished project will consist of two lakes; one 200 Acre lake and one 100 Acre lake. Both lakes will be part of a private development for Circle W Development. SDW Engineers was responsible for the design and permitting of the lakes and the associated dams. SDW Engineers is currently overseeing the construction of the dams which include daily inspections and construction staking. SDW Engineers is proud to welcome Kaelan Nolf as a new staff member. Kaelan comes to us from D’Iberville, MS. She is currently enrolled as a student at USM studying for a degree in Elementary Education. Kaelan comes to us with experience from the Beau Rivage Resort and Casino. We are proud have to her as part of our team. SDW has been retained by the City of Hattiesburg to monitor removal of vegetative materials and Construction and Demolition debris. These services include providing monitors to ensure trucks are loaded properly and the material is delivered to a final disposal site. All items are meticulously detailed with written, pictorial and computer generated data. All data will be provided to substantiate FEMA regulations to ensure reimbursement. These services were also provided in this detail and more during the recovery process after Hurricane Katrina. In addition to aiding the Cities of Hattiesburg and Petal, we provided these services to the Cities of Collins and Seminary. 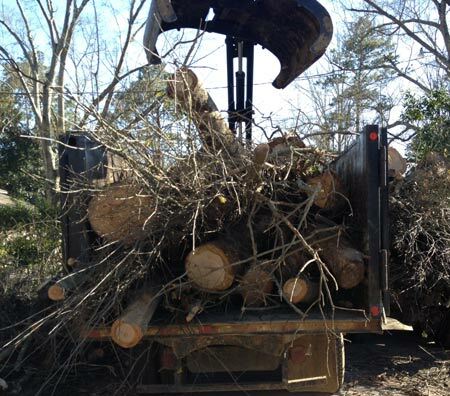 We are proud to provide these disaster services to our local communities and clients. With our presence in south Mississippi for 50 years, the communities can rest assured that we are providing a dependable service for the disaster and for the future audits as required by MEMA and FEMA. SDW will be providing disaster services to our local Petal community. With our presence in south Mississippi for 50 years, the communities can rest assured we are providing a dependable service for the disaster and for the future audits as required by MEMA and FEMA. SDW has been retained by the City of Petal to monitor removal of vegetative materials and Construction and Demolition debris. These services include providing monitors to ensure trucks are loaded properly and the material is delivered to a final disposal site. All items are meticulously detailed with written, pictorial and computer generated data. All data will be provided to substantiate FEMA regulations to ensure reimbursement. These services were also provided in this detail and more during the recovery process after Hurricane Katrina. In addition to aiding the Cities of Hattiesburg and Petal, we provided the services to the Cities of Collins and Seminary. On February 22, 2013 we celebrated our 50th year in business For half a century we have been practicing civil engineering as an independent engineering consultancy, pursuing excellence in every project we undertake. We look forward to the next 50!